School officials continue their efforts to provide an update on the local corporation and much of that information was shared with school board members on Monday, Feb. 23. "We try to give like an annual update sometime after the new year on the state of the corporation in terms of some of the goals, in terms of some of the accomplishments, in terms of some of the challenges that we face as we look forward in 2009," Superintendent Tracey Shafer told the trustees. "I think this is the third year running." Information for the update was provided by a number of school personnel, including Shafer; Dave McKee, assistant superintendent for business and classified staff; and Chuck Grable, assistant superintendent for instruction; and directors across the corporation, Shafer said. He also credited Executive Secretary Cindy Gray for her work in pulling the information together for the presentation. "This was a joint venture," he told the trustees. Shafer's presentation for the board was in a PowerPoint format, which gave trustees a clear and concise look at key areas of the corporation. "There are three guiding documents that we've developed here over time that will lead the discussion - the corporation's values, our Dashboard (some of our focus areas), and then the school board goals," Shafer noted. "We're going to walk through them very briefly here." Core Values were developed over the course of the past year and will lead the corporation into 2009 and beyond, Shafer said. Trustees have made it a practice to read one of the Core Values at each school board meeting as a reminder of what the corporation hopes to provide for its students and the community. • Lifelong guidelines and life skills. • An atmosphere of high expectation, high achievement and accountability. • Focus on the future. • Continuous improvement for all. • Mastery of academic standards. • Creating safe learning environments. • Wise use of resources. Strides are being made when it comes to academic improvements, Grable told the board. "District wide, 75.6 percent of our students are reading at or above grade level," he said. "There's been nice, steady growth. There have also been nice gains in math." Several new practices have also been implemented which have helped to boost improvements in academics. They include an elementary model (coaching) that is now in place, implementation of the Highly Effective Teaching (HET) model, and the roll out of Response To Intervention techniques to assist students who may be struggling. The third document Shafer discussed during the state of the corporation presentation was board goals, which the current board was instrumental in developing over the past year, Shafer said. • Being able to emulate the corporation's Core Values. • Increasing communication with the community, which Shafer noted has been an ongoing effort for the current board. • Having measurable improvement that's aligned with the corporation Dashboard. • Having the corporation's resources aligned with the Dashboard of scorecard indicators, which will help to provide an understanding of why money is spent and what it is spent on to make sure the expenditures are aligned with the corporation's goals. • Continuous improvement in the classrooms. • Holding regular S-2-S (system to system) meetings from the corporation level and out to the classroom and student level. School officials must also try to reach their goals while working in a less than perfect economic climate. "I always say it's good to look at some assumptions," Shafer said. "As you look into the next year, I think there are certain assumptions that you have to make. You'll be basing some of your goals and some of the efforts that you want to get accomplished on these assumptions." • That the state of Indiana economy will remain in flux. "This will be a year of somewhat uncertainty in terms of the economy." • There will be an increase in accountability with No Child Left Behind. "The bar keeps going up. I think it's safe to assume that will continue." • Assume there will be less local control of dollars than what our efforts are at the local level. "This year, for example, the general fund - a third of that was supported locally in the past (local taxpayer dollars went into the general fund). That amount has now moved over 100 percent to state control. And, when you have state control of funding, you also have state control of regulations that go with that. "I think we've seen that for several years now with federal funding. Federal funding typically makes up about 7 to 8 percent of your total budget. But yet look at all the restrictions that we've been under in terms of Title I, in terms of Special Education, in terms of federal funding - with just the little bit of the budget that's controlled with federal funding. So you can imagine as more dollar control goes over to the state, there's probably going to be more restrictions and more compliance that goes with that. Now that's an assumption, but I think it's a safe one." • Assume a slightly decreasing enrollment as school officials look at projections for this year. • Assume an increasing SES (socio-economic status) population - that's one disaggregated area. "Our poverty rate in the county has been climbing, slowly and steadily. With the current economy, we're going to assume that's going to continue to climb a bit." • School officials are also going to assume that the corporation is going to continue to make improvements. "I don't think any of these things are excuses for not getting better. So we're going to make the assumption that we're going to continue to get better." • Increasing special population Adequate Yearly Progress (AYP) measures. • Changes in communication at the Department of Education. "There's been a lot of turnover down there (in Indianapolis) here in the last month and that creates some uncertainty in communication and rules and those types of things. It's going to be a challenge for a while." • Changing legislative requirements. • Utilizing stimulus funding. "We're hearing a lot about that, but we don't have any specifics yet." • Educating staff on Response To Intervention (RTI) Tier II and II interventions for students needing extra help. "This requires a lot of training," Shafer said, adding that grant money is available to cover much of the expense for the training. 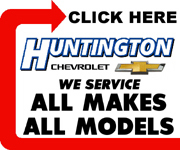 • Huntington North facility upgrades. Taxpayers in Huntington County can rest assured that the corporation is using its money responsibly, McKee noted. Locally, per pupil expenditures are at about $8,800. The state average is $10,400. "It speaks well of how you use your financial resources here," McKee said. "You're getting a great value for the dollar here." The school corporation's 2009 budget is $54,324,921. The budget make up is: 70 percent, general fund; 11 percent, capital projects; 10 percent debt service; and 6 percent, transportation. Thirty percent of the revenue for the budget comes from local support while 70 percent comes from the state, McKee noted. Shafer went on to give a breakdown of a number of programs and some of the costs involved. Huntington North High School has 73 coaches and/or sports medicine staff tending to approximately 400 student athletes. For the fall 2008 season the school brought home six Indiana High School Athletic Association titles. Cost to run the programs is around $425,000, which Shafer said is paid for with gate fees. Food service employs about 90 people who are under the direction of Tom Lentes. The service took in $2.6 million through sales last year, which included 726,000 lunches and 145,000 breakfasts. Shafer is impressed with the implementation of one new program and would like to see it expanded. "This is something that I think is very well received - the fresh fruit and vegetable program," Shafer said. "Some of you have seen it in operation at Horace Mann. We're looking for ways to expand that and Mr. Lentes has actually been trying to write some grants. He's working with the United Way here locally on a grant for two fresh fruit and vegetable buffets at each elementary school." Under special programs, the high ability area - Project Challenge - has 16 chairs. This program has started in the elementary schools but has now been worked into the upper grades. Project Challenge has an annual budget of $50,000, which is funded through a grant from the state. Trace Hinesley oversees the program. Also under special programs is Title I, which includes 11 teachers and has a budget of $875,000. "Title I is very large and is getting larger," Shafer said. Over 130 students are enrolled in after-school tutoring at Lincoln Elementary through Title I and 260 students are now enrolled in all day kindergarten. "That's up from about 24 students just a couple of years ago," Shafer noted. In the technology department there are eight technicians and one trainer. The annual budget is $1.2 million. "The population served is really everyone," Shafer said. "It's a district resource for all of our students, staff, administration, etc." Huntington-Whitley Special Services is the special education cooperative. The co-op has about 14 certified and 15 classified staff members. This year the co-op provides services to 1,453 students - 986 in Huntington County and 467 in Whitley County. The Transportation Department has 58 full-time drivers and 20 substitutes who run 227 routes every day and a total of around 1,190,000 miles annually. Two mechanics service the 83 buses in the fleet. Eighty-five percent of the expenses of the department are incurred as a result of the daily routes while only 6 percent comes by way of field trips and athletic trips. The maintenance department has five full-time employees to care for the corporation's 14 facilities. Another 14 employees are hired during the summer months and make up the mowing crew. There are also 42 custodians caring for the facilities and six trained substitutes.